At the last World Conservation Congress, the IUCN launched the concept of a red list of ecosystems, analogous to that used for species. Ecosystem red lists have the potential to complement the policy successes of species red lists by better representing biological diversity as a whole, by including fundamental abiotic components that are only indirectly included in species assessments, and by integrating benefits provided by ecosystems to societies. After a first workshop held in Washington, DC, on the scientific foundations of this concept, a second workshop was held at the Tour du Valat to further develop this initiative on the particular case of wetlands. The IUCN Red List of Threatened Species, founded in 1963 by the International Union for the Conservation of Nature (IUCN), relies on the development of objective, repeatable, and transparent criteria for assessing extinction risk that explicitly separate risk assessment from priority setting. It is the world’s most comprehensive inventory of the global conservation status of plant and animal species, with possible application of the criteria at regional and national scales. Ecosystem red lists have the potential to complement the policy successes of species red lists because ecosystems – defined as an assemblage of organisms that occur together in space and time and interact with each other and their physical environment – may more effectively represent biological diversity as a whole than do individual species. In addition, only 47,978 of the world’s 1,740,330 known species have been evaluated for potential inclusion on the IUCN Red List, with a low coverage of invertebrates, fungi and other poorly known groups. Ecosystem red lists would further integrate physical, functional and landscape components, which often precede species decline, as well as benefits to society (clean water, food, timber and fuel), contributing to their preservation. In addition such a red list of ecosystems, based on criteria for both assessment and performance could provide an invaluable link between biodiversity conservation and land use planning and management, which in turn can provide a direct link to national level macro-economic planning. define proxy measures of risk (criteria), classification thresholds for these criteria and standardized methods for their evaluation. Nearly 15 years passed between the initial development of criteria for the IUCN Red List of Threatened Species and their official adoption. To improve efficiency in the adoption of the Ecosystem Red List concept, IUCN has initiated an international consultation, including three workshops benefitting from MAVA funds in 2011-2012.
integration of ecosystem functions and services as important indicators of degradation and loss. The second workshop, held at Tour du Valat in September, gathered about 30 experts from 15 countries to share national initiatives on habitat red lists in Europe and to evaluate the correspondence between the various habitat classifications currently available for wetlands. 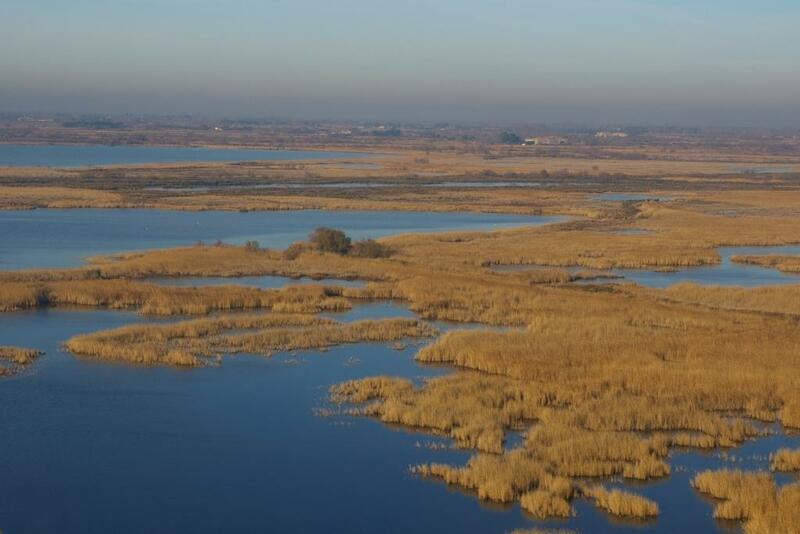 The application of the concept was tested for reedbeds, temporary pools and freshwater ecosystems. A special session addressed the need for integrating the value of goods and services provided by ecosystems into the proxy measures of risk evaluation to increase their weight into decision-making processes. The IUCN Red List of Ecosystems offers great opportunities to build strong linkages between ecosystems, livelihood, health and well-being in a manner that can both be used to inform and influence conservation and national development agendas, reflecting the true value of ecosystem goods and services. A third workshop will be held at the Centre de Suivi Ecologique in Senegal in 2012 with the particular aim of testing the IUCN Red List of Ecosystem categories and criteria in data-poor regions. The objective of this international consultation process is to present a unified proposal at the next World Conservation Congress in 2012 leading to its eventual adoption by IUCN as the global standard in ecosystem risk assessment. To learn more about the IUCN Red List of Ecosystems:click here.